This is a warm, funny portrait of the theatrical community in New York. Ginger Rogers and Katharine Hepburn play two struggling actresses who live in a boarding house that hosts a number of aspiring actresses attempting to make a mark for themselves on stage. A boardinghouse for female theater actresses gets a new arrival in the form of Terry Randall (Katharine Hepburn), an upper-class woman pursuing her dreams against her wealthy father's wishes. At first, her status makes her unpopular with the other boarders, particularly her roommate, Jean (Ginger Rogers). As Terry becomes better acquainted with the other girls and their shared ambitions, rivalry, both professional and romantic, explodes among them. 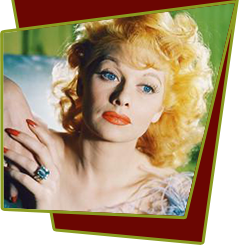 Special Notes: Lucille Ball, Eve Arden, and Ann Miller play actresses in this very funny movie. The film was adapted by Morrie Ryskind and Anthony Veiller from the play by Edna Ferber and George S. Kaufman, but the play's storyline and the characters' names were almost completely changed for the movie, so much so in fact that Kaufman joked the film should be called "Screen Door". This film was also nominated for Best Picture, Best Director, and Best Screenplay.